Last semester, a group of students fell in love with the English seminar course “Cook the Books”. If you’re a regular reader, you might remember me blogging about some memorable class adventures and mishaps. We were so enthusiastic and passionate about how the course connected literature and food that we decided that we wanted to publish a cookbook that documented our learning journey. The project has come to be known as Cook This Book. Late last semester, our team applied for an Undergraduate Arts and Science Research Grant. And got it. Now, we’re trying to balance school with publishing a cookbook, something we’ve never done before. It’s been challenging. Many of the people on the team are in their final year of study, applying to grad school, working either full-time or part-time and studying full-time or part-time. Although we were stoked to actually get money and support from the University of Toronto (keep an eye out for these opportunities by scanning department newsletters), there is a certain amount of pressure that comes along with such endowments. Basically, we have to come up with something impressive to show the school at the end of the school year that is fast approaching like a steam train in a black and white film from the silent era. Wait, that’s me tied to the tracks in this imaginary movie happening inside my head! I’m screaming for help! Only you can’t hear me! 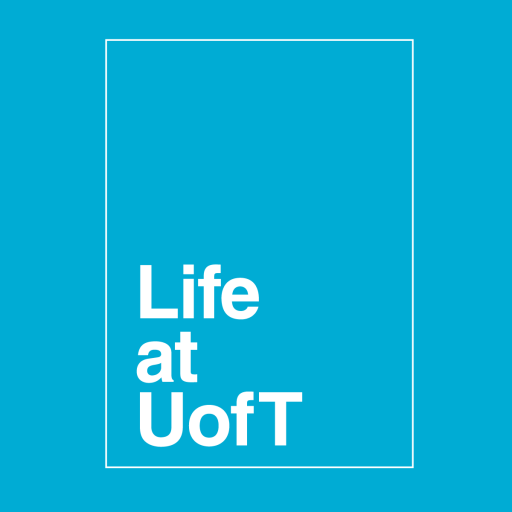 I’m so thankful for lifeatuoft because I have a voice on here. I promise this won’t be a post where I have a complete breakdown due to stress. In fact, I’m going to give you tips on how to avoid getting into a similar undergraduate research grant situation that I am in. Apply sooner rather than later. Our team applied close to the application deadline, mostly because we came up with the idea late during the fall semester (I mean, we had to experience most of the course to actually propose a cookbook that would document it). If you have a kernel of an idea that you want to propose (even as far away as next year), meet with a faculty member as early as possible to get their feedback. Waiting and writing an application close to a deadline is a lot of pressure. Let it sit in your head over the summer. We made unrealistic deadlines. After we received the grant, our group met up and started making schedules. Soon, Winter Break passed. And now Reading Week has become a distant memory (oh, Belize, how I miss thee!). Now it’s crunch time. Not only to write material for the cookbook but essays, tests, exams, random assignments, presentations. Looking back, we were unfocused with our goals. It’s impossible to change the past but I wish we made more realistic deadlines because we’ve squeezed all of the work into a very condensed period of time. Dedication should be rewarded. I’ve noticed at meetings there are some individuals who show up and do the work while others have decided to take a break, focus on school and come back at the end to contribute (and get credit) to the project. This doesn’t seem very fair to the people who have stuck by the project during the entire semester. If you are working with a team of students, it’s really not fair to pick and choose when and what you want to do, like swooping in during April to suddenly pick up where you left off early in the semester. If you’re getting credit for the project, you should stay committed to it through thick and thin. Trust me, we all have breaking points and want to quit, but it’s really not fair to the team if you decide to take a vacation when they need you the most. Our team is reviewing the roles and credit people are going to get when the cookbook is actually published as some members have really shown consistent dedication throughout the semester. As we come to a close this semester, I really recommend you start thinking about potential research grant ideas over the summer and possible faculty members who can write you a reference letter. Do not wait last minute to get a start on an undergraduate research grant! Be aggressive in the summer and fall because the winter semester will manage to eat you up and spit you out! Also, if you want to get involved in the cookbook, we’re looking for photographers, layout designers and illustrators. Check out our blog for more details and apply!